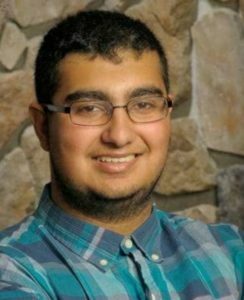 Grafton – Deepak Bedi, 20, passed away Aug. 27, 2018 following complications from a heart attack. He is survived by his loving parents, Sharon Kaur Torres and her husband Joel Torres and Surinder Singh Bedi and his wife Hari Rai Kaur Bedi; his sister, Reena Kaur Torres; his maternal grandparents, Charan Singh Dhami and Amrit Kaur Purba, and paternal grandparents, Karnail Singh Bedi and Manjit Kaur; his aunt, Sukhjit Kaur and uncle Parvender Singh; uncle Madhanjit Singh Dhami and aunt Kuljeet Kaur Farrar; and many cousins. Deepak was born July 30, 1998 in Adelaide, Australia. While still a toddler, he lived in Malaysia before coming to the United States in 2000. He grew up in Attleboro and then Grafton, where he graduated from high school. Deepak was entering his junior year at Temple University in Philadelphia, Pa.
Those closest to Deepak will remember his broad smile, his charisma and the selfless nature that always saw him doing all he could for others. His name, Deepak, means “light,” which is what he always brought to any room he entered. In memory of Deepak, please honor him with a memorial donation to the American Heart Association at www.Heart.org. All are welcome to gather with Deepak’s family Friday, Aug. 31, from 9-10:30 a.m., at Roney Funeral Home, 152 Worcester St., North Grafton, followed by prayers at 10:30 a.m. Cremation will be private. A Book of Memories to share a memory of Deepak or message of sympathy with his family is available online at www.RoneyFuneralHome.com.